The Patient Protection and Affordable Care Act (PPACA), commonly shortened to the Affordable Care Act (ACA) and nicknamed Obamacare, is a United States federal statute enacted by the 111th United States Congress and signed into law by President Barack Obama on March 23, 2010. Why Did We Need the ACA (Obamacare)? In 1980, 25 million Americans were uninsured, and by 2009, it increased to 51 million (Bodenheimer/Grumbach, 2012). While many people obtain employer plan insurance, those whose employers were not offering insurance, or those who were self-employed, or unemployed, were left to fend for their own health care solutions. Additionally, small increases in family income could disqualify people for Medicaid benefits. Between 2007-2008, 29% of the US population (87 Million people) went without health insurance. Because of so many people without insurance coverage, emergency rooms and other similar facilities have steadily been under heavy use and over utilization for the most minor of health problems. Denying coverage for pre-existing conditions was made illegal under the ACA. The ACA allows young adults up to the age of 26 to stay covered under their parents plan. It requires that preventative screenings and care are made available to everyone. The creation of a marketplace where patients can shop among coverage choices and supplemental coverage. More than 20 Million Americans gained health coverage because of the ACA (Obamacare). The marketplace website for coverage had technical issues due to the high volume of people trying to sign up and it took some time to get it up and running properly. Many opposed the “Individual Mandate” that requires everyone to have coverage. While that may be unpopular, it is necessary in order to include younger healthier people to help offset the healthcare costs of the older population. Many opposed using insurance carriers in the marketplace as opposed to having a single payor solution, however this was a compromise that Democrats made for Republicans who insisted on it. What’s in a name? Many people did not like President Obama personally and many did not like it being called Obamacare. We have also learned recently that a great number of conservative voters did not know that Obamacare and the ACA were the same thing. Numerous articles and interviews were made public of people showing dissatisfaction with “Obamacare” and wanting to get rid of it and to have the ACA instead. Many people believed, and some still believe today that anyone over the age of 74 would be subject to “death panels” as a part of the ACA, but this was false. This was never in the ACA (Obamacare). These claims were completely untrue. Patients were promised they could keep their doctor as well as their health care plan if they liked them, however this could not be fully promised as physicians and health plans both have continual adjustments on what plans they offer and participate with based on performances. Issuers drop and change health plans often, and providers change the networks that they participate with often. The ACA (Obamacare) could not ensure the plans would be fully patient-friendly. 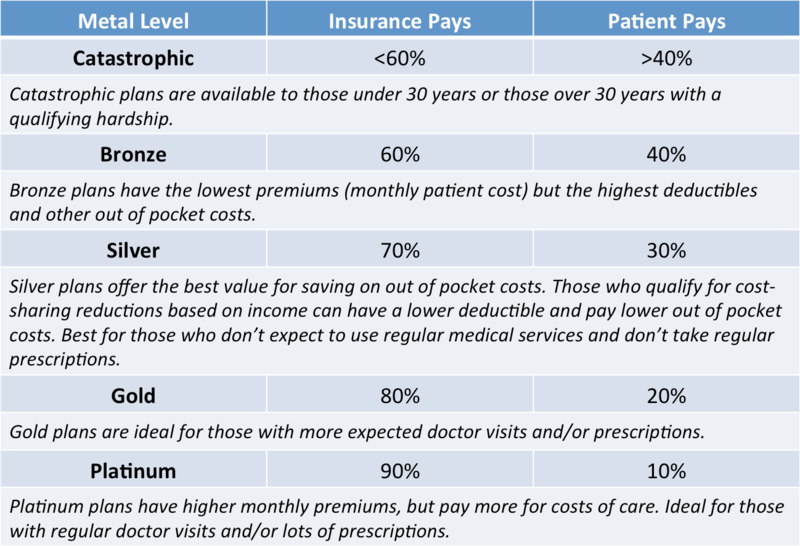 For example, most patients chose a metal level based on what they could afford in their monthly personal budget and this may or not may equate to the level of coverage they needed for their condition(s). Some health plan deductibles were at such a high dollar figure, that the plan was useless to the patient who could not afford to meet the deductible. Some issuers have dropped out of participating, and others have threatened to do so in the future. Premiums have risen to the disapproval of Americans. A combination of factors are involved, such as patients not choosing plans that covered all their needs, patients who were only enrolled in partial years (costing the health plan a great deal financially in short spurts), prescription drugs costs that were not balanced or planned for in the first year, and others. However, there were supposed to be protections for health carriers in the original ACA (Obamacare) plans to protect insurers from unexpected financial losses. Unfortunately, those insurer protections were gutted/ removed by Republicans during negotiations before the ACA was made law. While there is plenty of blame to go around on both sides of the aisle, it would seem with a Republican controlled House, Senate, and Presidency, it will be up the to Republican Party to present a replacement or revision. There have been conflicting reports on what may or may not be in the works, but here are some of the suggested items thus far, along with their real repercussions. Engaging Commercial Insurers: President Trump first announced that the solution would involve insurance carriers and getting them involved in creating health plans for coverage, however this is exactly what the ACA (Obamacare) did, and there was no clarification made to any differences or comparisons. Many are not confident that all of our government officials know what the ACA does or how it works. Refundable Tax Credits: This would be money credited to help consumers/ patients make their premiums, however, this currently is presented to be based on age and not income. This would mean that aged Americans (who would be more likely to be financially stable), would get a larger subsidy than a young person making minimum wage. An additional problem would include subsidies that would be too small to help. Tom Price (current HHS Secretary) has proposed $1,200 per year for people aged 18 to 35, and up to $3,000 per year for people aged 50 and over. This proposed dollar figure is only one third of the cost of the most basic and minimalistic coverage plans currently offered. Health Savings Accounts: The idea and usability of HSA’s only works for those who can afford to save money- thus the “savings” account. People would be at risk for not being able to save, not saving enough, or using everything they had saved should they have a serious illness. The majority of Americans affected are people who live paycheck to paycheck in a world where the current minimum wage has not risen to match the current cost of living. Block Grants for Medicaid: The idea of block grants has been proposed to fund Medicaid. This would stop paying states a percentage of their Medicaid costs (as currently done) and instead pay a “fixed block” to each state. The problem here is that we know that healthcare costs naturally rise over time, and if they rise, and the block grants do not cover the disparity, there will not be enough to cover patient care. A study by the Kaiser Family Foundation in 2012 estimated that previously proposed block grants would create a reduction in enrollments by over 20 Million people in 10 years time. High Risk Pools: A high risk pool would lump the sickest people in populations together in the same plan. These will be high cost pools/plans. A study in 2014 by The Commonwealth Fund has already estimated that a National High Risk Insurance Pool is not a workable alternative to the marketplace. It showed that the net federal cost to cover high risk pools would be over $178 Billion per year. The plan offered by Tom Price (current HHS Secretary) only allowed for $3 Billion for high risk pools over a period of 3 years. This will make premiums too high for patients and leave coverage gaps for costly chronic conditions. Continuous Coverage Incentive: No one knows for sure what is meant or planned as a continuous coverage incentive, but this has been proposed (in title only) as a potential fix or solution. While the word “incentive” is associated with a positive feeling, there is no way of knowing what types of penalties or strongholds may be devised to enforce coverage. This could be just another way to encourage an “individual mandate” into the face of many who already disapprove of the individual mandate portion of the current law. Some ideas that have been verbally floated by Republicans include monetary penalties in the form of increased premiums upon reentry into the market and preventing the patient from reentering the market for up to one full year. Our country must provide medical coverage or insurance for all Americans, to include pre-existing conditions. Insurance costs must correlate in a balance considering patient age, income, and risk based on chronic conditions. The government should either use a single payor system copied from the risk adjustment HCC modeling used in Medicare Advantage plans (Medicare HMO’s offered by Issuers) where standards of product lines are established, or the government should standardize the options that are allowed by various Issuers. Insurance companies must be protected from unexpected financial losses when providing these important healthcare services to Americans. “The science and art of preventing disease, prolonging life, and promoting physical health and efficiency through organized community efforts for the sanitation of the environment, the control of community infections, the education of the individual in principles of personal hygiene, the organization of medical and nursing services for the early diagnosis and preventive treatment of disease, and the development of the social machinery which will ensure to every individual in the community a standard of living adequate for the maintenance of health.” – A definition of “public health” by Edward A. Winslow, a theoretician and leader of American public health in the first half of the 20th century, 1920. The government has a primary purpose to promote the general welfare of its people, and this includes health and safety. The government cannot guarantee this for every individual, but its role is to maximize the health and safety of all. Brian Boyce, BSHS, CPC, CPC-I, CRC, CTPRP is an AAPC-approved PMCC medical coding instructor, and ICD-10-CM trainer and the author of the AAPC CRC® curriculum. He has specialized in risk adjustment from the very beginnings of these models being utilized and has assisted large and small clients nationally. He has special interest in ethics, patient safety, disease management, and management and leadership of people. Brian is a veteran of Desert Storm, where he served on active duty with the US Air Force with a job specialty of Aeromedical Evacuation. He went into physician practice management and medical coding after an honorable discharge. He is the CEO of ionHealthcare® LLC, a company that specializes in healthcare consulting, risk adjustment coding, management & support services. For additional inquiries contact ionHealthcare® at info@ionHealthcare.com.